I get asked this question nonstop, here in Nicaragua, AND there, internationally, “WHY AREN’T YOU WORKING WITH GIRLS AS WELL”? Well, first of all, it was never in my plans. None of this was ever in my plans, to be honest. God did it. Second of all, we did work with boys AND girls when we first started. But, when we quickly realized that we were doing everything possible, and still not reaching their needs, we had to choose. The choice came easily to me that day, it was boys we would work with. I didn’t know why, it just was. As the years go by, I am finally getting the gist of it myself. My realization started about 2-3 years into our work and has become clearer and clearer every passing year since. We are now in our eighth year. Can you imagine (and please do imagine this with me) hundreds of boys being trained up in the ways of the Lord and then being in charge, ALL AT THE SAME TIME (same generation) of their society and very own little families? Like, that seems like a BIG, CRAZY, EXPLOSIVE, TIME BOMB to me. And, that’s exactly what we are creating! You didn’t know that’s what YOU’VE been a part of all these years either?? Well, I must apologize if you didn’t, but I am so glad to be taking the time today to help you see it. After all, NO ONE should be part of creating a time bomb without knowing it very well ahead of time, and of course, signing the corresponding consent form! 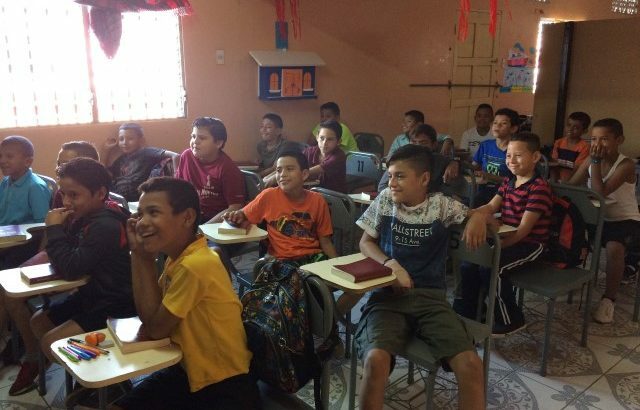 Our VISION at Light & Salt Ministries is to provoke a reform in Nicaragua through Christian education and poverty relief. I can’t actually think of anything that will make it happen quicker than that. Training and disciplining the actual people of a country to break their own cycles of poverty, both mentally and spiritually speaking, is no easy task. But, we are doing it. And, AS FOR THE GIRLS. We aren’t working with them directly, you are right. 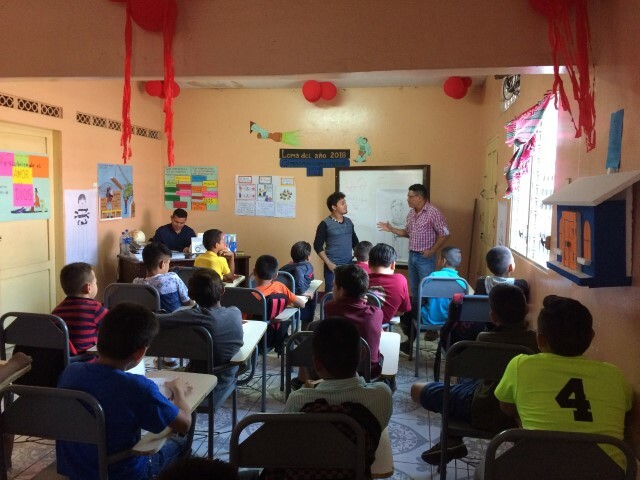 But we ARE changing their futures, opening the doors to their education, and bettering their quality of life ONE BOY AT A TIME. Boys who grow up into men who know how to treat their ladies right, raise up their children, and be leaders in society will UNDOUBTEDLY make the world a better place for EVERY SINGLE FEMALE within their vicinity. So, you wanted to help within a ministry that helps girls AND boys equally? Well, we’ve got good news. You are in the perfect place and we couldn’t have done it without you. Your partnership means the world to us. Because you give, girls AND boys, entire families actually, can have a future and a hope. If this excites you, and you can see yourself taking a hold of the vision and helping us run with it, contact us today.